Point, shoot, click and call: this and more is possible with the PCS Phone by Sanyo 5300 - America's first wireless phone with a built-in camera, unveiled today by Sprint (NYSE: FON, PCS) and Sanyo. The PCS Phone by Sanyo 5300 combines the functionality of a digital camera with the clear calls of a PCS Phone enabling Sprint wireless customers to instantly shoot, view and share photos nationwide in addition to making crystal clear calls on the PCS enhanced nationwide network. The 5300 is designed to support the PCS VisionSM applications and services, including downloadable Java-based games, animated ringers and screen savers. Sprint, which operates the largest all-digital, nationwide PCS network and Sanyo will offer the PCS Phone by Sanyo 5300 to customers nationwide in November for a suggested retail price of $399.99. 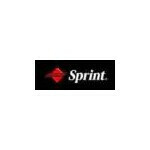 "Leave it to Sprint to be the first carrier to bring the camera-phone to the U.S. market," said Tony Henning, senior analyst with Future Image, responsible for the WIRE executive information service that focuses exclusively on wireless imaging. "We've watched with envy as the Japanese and Korean markets have been flooded with camera-phone models while there are none here at home. Sprint and Sanyo have rectified that situation with what appears to be a top-notch camera-phone."